At the organization level, internal control objectives relate to the reliability of financial reporting, timely feedback on the achievement of operational or strategic goals and compliance with laws and regulations. At the specific transactions level, internal control refers to the actions taken to achieve a specific objective (e.g., how to ensure organizations payments to third parties are for valid services rendered). Internal control procedures reduce process variation, leading to more predictable outcomes. Internal Control Structure is important for all types of organization to achieve its objectives. Because, if a proper Internal Control Structure is implemented, all of the operations, physical resources, and data will be monitored and under control, objectives will be achieved, risks will be minimized, and information output will be trustworthy. On the other hand, if the Internal Control Structure is weak and unsound, the firm’s resources may be vulnerable to loss through theft, negligence, carelessness, and other risks. 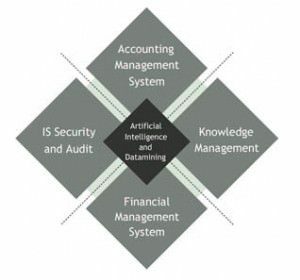 As a result, the Accounting Information System will likely generate information that is vulnerable, untimely, and perhaps unrelated to the firm’s objectives. Especially in a banking sector it is the key element to sustain in a modern competitive market. Incase of banks the degree of risk exposure is very high because it deals with the most vulnerable assets particularly cash and the frequency of dealing with cash is greater than any other organizations. In addition every transaction in banks is of higher amount. So the magnitude of potential loss is greater. In fact banks are subject to all the three factors that affect the degree of risk exposure. Whether a bank achieves operational and strategic objectives may depend on factors outside the organization, such as competition or technological innovation. Thus Internal Control Structure is highly important for banks to achieve the control objectives.